Since it is October 10, 2010, I feel inspired to write some sort of top ten list. About what though, I’m wasn’t quite sure at first. I could, as my friend Kim, write about the top ten worst sequels. But that would require me to have seen certain sequels. I even considered writing about movies that have something to do with numbers. Of course, that means I would have to include A Beautiful Mind, a film I detest so that list just was not happening. Then it dawned on me. This past week, I began going through my first blog posts and editing them. I’ve noticed, among other things, that my writing skills were horrible, my proofreading skills were lacking, and every movie was one of my favorites. I had a severe inability to dislike or critique anything. Today things are different. At least I hope four years of college and a Film Studies degree have noticeably improved the quality of this blog. In the over five years since I have been a blogger, I have never written a definitive top ten list of my favorite movies. I’ve posted and commented on plenty of other movie lists but never my own. I have my reasons. “Joanna, what are your ten favorite movies?” is a question I hate to answer because it puts me on the spot to think of something creative and insightful. On top of that, my cinematic interests and thus my list is are always changing. What I loved years ago, I could rewatch and hate today. With all of this in mind, here it is. My top ten favorite movies and why I love them. As I was walking through the North End tonight, a song I haven’t listened to in ages popped on my iPod. To me, this song isn’t necessarily a happy one. It’s more meloncholy. 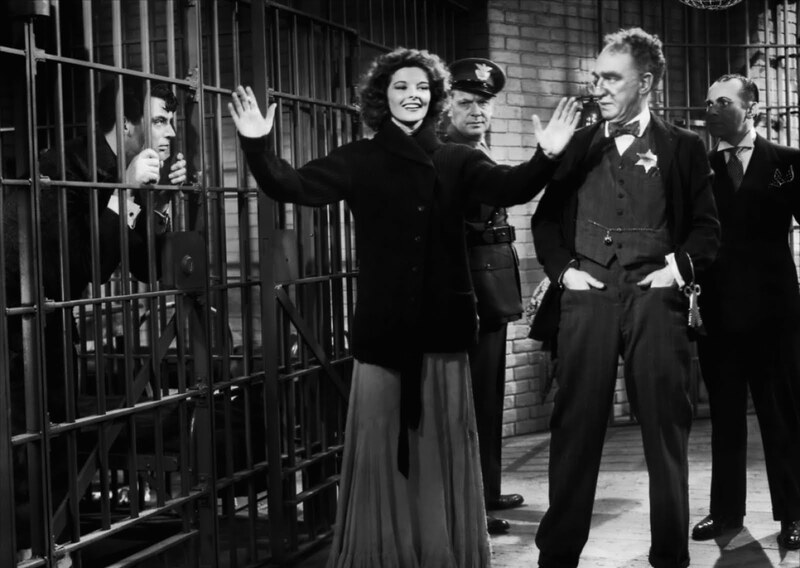 You would think, considering how many times I have seen Bringing Up Baby, I would feel otherwise. Just watch how the song is played and used at the end of this trailer. In this instance, “I Can’t Give you Anything But Love” is anything but a sad, slow song. I have no idea what got me thinking like this about this song. The only way I can rationalize it is that I happened to be in the mood for Billie Holiday over anything else and the song that serendipitously played was the song from my favorite movie. Entertainment Weekly has a new photo gallery up that looks at 15 movies that show us a lot can happen in 24 hours. Their picks range from 12 Angry Men to The Breakfast Club to Escape from New York. 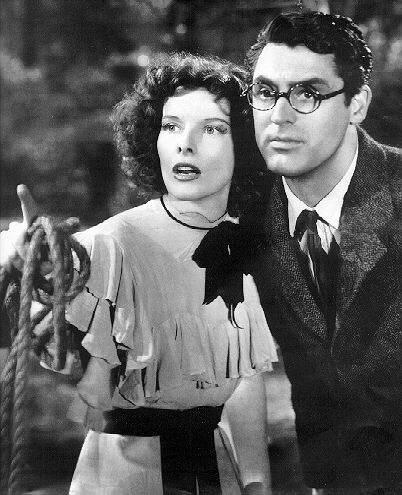 I would like to add one more film to the list – Bringing Up Baby, starring Katharine Hepburn and Cary Grant. Technically, Bringing Up Baby takes place over a two to three day period. But the second Susan Vance and David Huxley begin their drive to Connecticut with Baby in tow, you know you are in for one crazy adventure. Not only does Baby go missing in the Connecticut wilderness, but everyone else ends up in jail and Susan and David fall in love. One line zingers (“I’ve got my head. I’ve lost my leopard.”) and perfectly executed prat falls make this one wild 24-ish hour adventure.